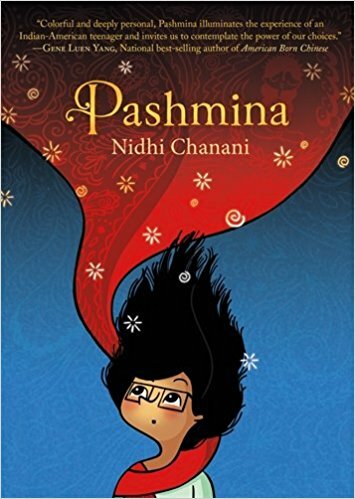 Pashmina is the gem of a debut graphic novel by Nidhi Channani that begins as a story about the challenges of growing up the child of an immigrant in California and quickly evolves into a story of magic, mythology and the the hard choices girls and women face growing up in a patriarchal culture of oppression. Channani illustrates most of Pashmina in grey tones, reserving vibrant bursts of color for the moments of magic as the arrive in the story. Priyanka Das is teased by mean girls at school, tentatively testing out her skills as an artist and learning to drive. She is a pretty typical American teenager. Except that her mother immigrated from India before she was born and has refused to talk about the family she left behind - or Priyanka's father. 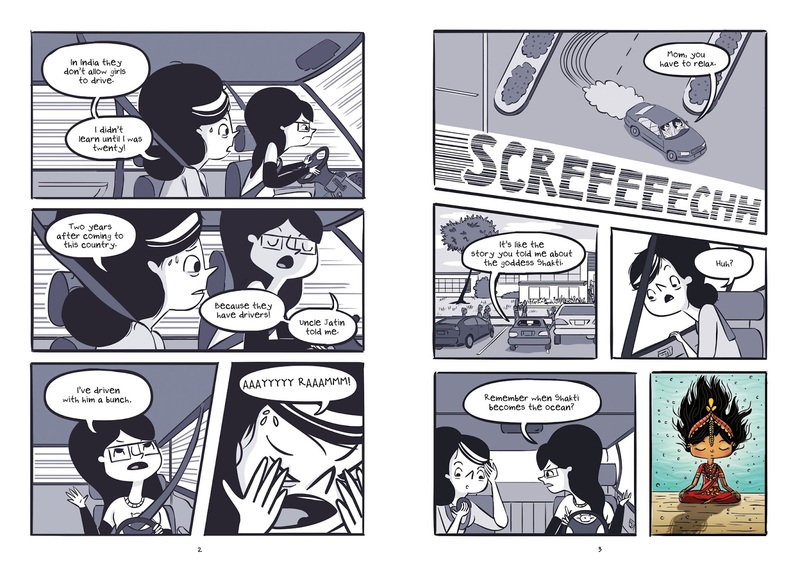 With father figure Uncle Jait about to become a father himself, Pri, as she asks to be called, is feeling sad and isolated, especially when her mother continues to refuse to talk to her about the country she left behind. 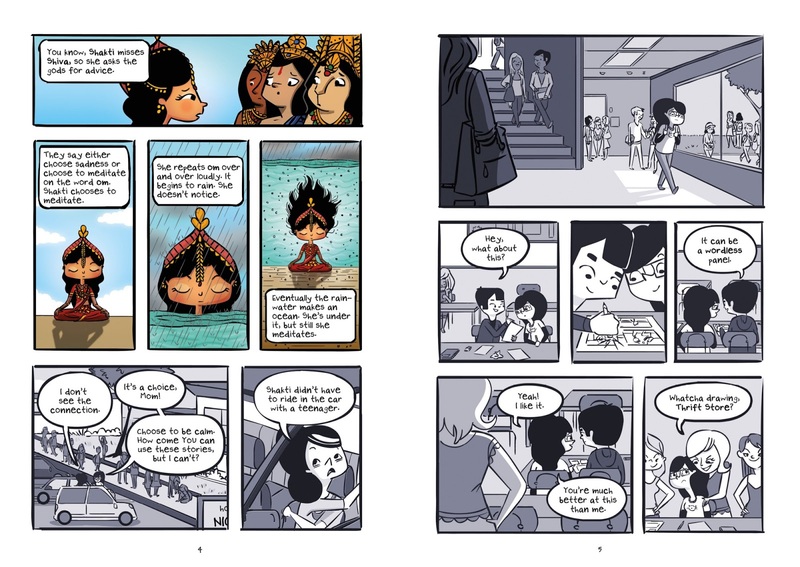 When Priyanka opens her mothers old suitcase and discovers an embroidered pashmina, she finds herself transported to the India of tour books, "full of palaces, tigers, and yummy food," with guides Kanta and Mayur - a peacock and an elephant - as her guides. Yet, every time she puts the pashmina around her shoulders and is transported to India, there is a shadow at the edges of each vision, trying to reach her. When her mother's sister calls after fifteen years of silence to say that she is pregnant and wants to connect with her family, it is Priyanka who travels to Kolkata to be with her. Once there, her auntie, formerly a teacher in the slums (her husband demanded she quit when she became pregnant) takes Priyanka to see the sites, as selected by her husband. 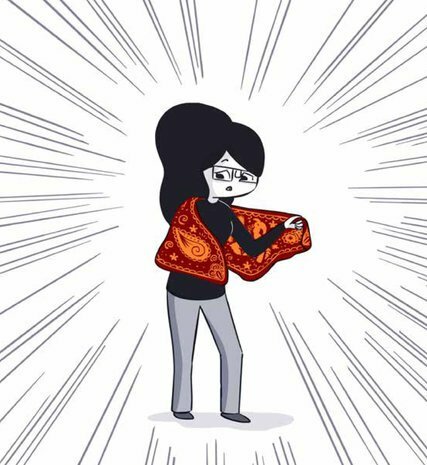 But, when Priyanka shares the pashmina (and it's transportive qualities) with her aunt and she, too has a vision, they head out to find the maker of the shawl. The history the two uncover, and the true nature of the pashmina, is magically bittersweet. What Priyanka does with this knowledge and understanding when she returns home to her mother is deeply moving and hopeful. 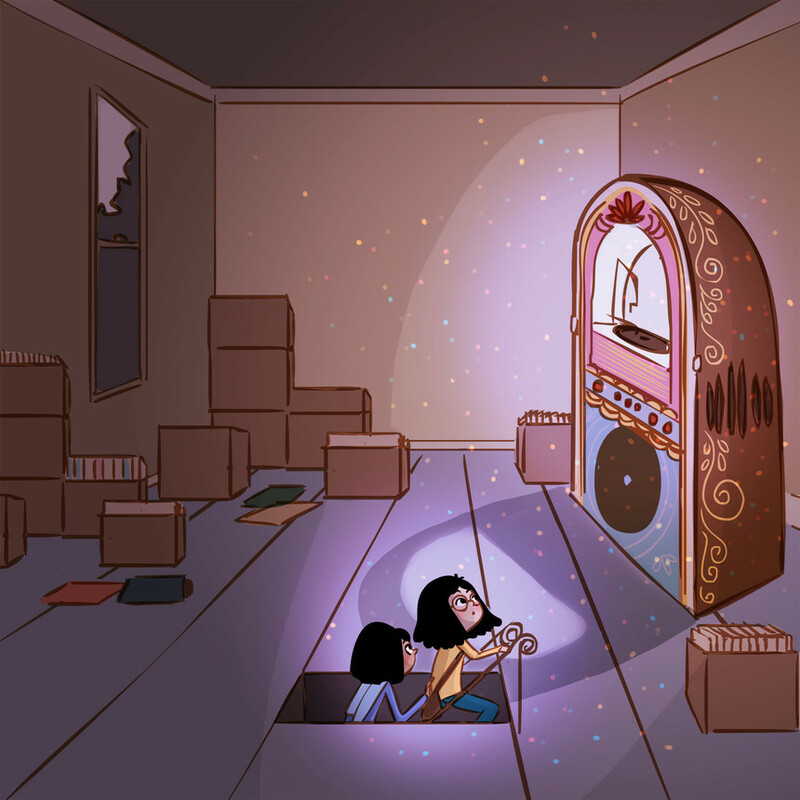 Two Muslim American cousins live in San Francisco where they find a magical jukebox that comes to their aid when one of their fathers goes missing. They must work together to discover where he went and how the past plays a part in his disappearance.